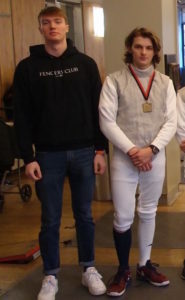 Harry Mander 19’ is officially a fencers club champion. 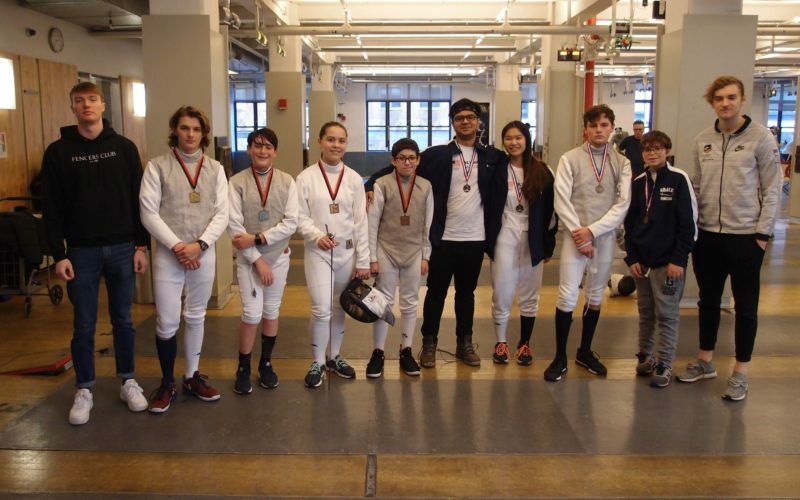 After Grace put forward their best fencers for the Partner Schools City Championship, our very own Harry Mander emerged with the gold trophy after rounds of exhausting matches. I met with him over lunch today to chat about his career and the path that brought him to his biggest win yet. “Harry what happened yesterday?” I ask him over the bustle of the lunchroom. A smile spreads across Harry’s face. “I won gold at the Fencers Club Partner School Tournament,” he responds with a devilish grin. 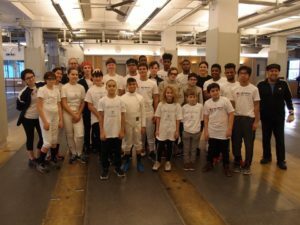 For context, the tournament is a competition between nineteen independent schools throughout New York City, hosted at the club where the coaches of Grace train themselves. Harry recalls a few of the memorable athletes he recognized when he walked into the room. I could tell Harry was up against stiff competition, although he is too humble to admit this. We take a break to eat and Harry excitedly brings me back into the conversation. I can tell he is eager to share more with me. I think to ask Harry about the history of his fencing career, presuming he has a rich progression of club play and what-not. His response shocks me. “I picked up fencing on winter break one year, as a random hobby…maybe in seventh grade?” What a guy, I think to myself. I admit to him that I have played sports my whole life and never amounted to anything as an athlete. Meanwhile, seemingly almost over night, he turns out to be a star fencer–now that is a story. “I was in a fencing club that moved to New Jersey which was a bummer, but I came to Grace and started again here, along with cross country and track.” In his old club, Harry recalls starting from the bottom, getting pitted against experienced fencers, and having to work his way up. I can tell the drive of an athlete is an innate part of Harry. He is, in fact, a year-round athlete, but he admittedly likes fencing best. He tells me that although fencing still practices in the dimly lit lunchroom after school, they have come a long way since his freshman year. “Our team has grown a lot, we went from maybe six or seven kids to twenty-two plus, not to mention last year we came close to ending undefeated.” Full circle indeed. We are almost done with our food, so I skip to the big question. “So what was it like…winning it all,” I ask. The same smirk from before comes back and Harry’s face lights up. “Having all my work manifest into a physical, tangible award…it was nothing short of amazing.” I feel the energy from across the table and I let my mind drift to holding up the trophy in front of a whole arena of shouting people…then I snap back into the Commons. “Nothing but respect” I say, dapping (teenage handshake) Harry up. Harry explains that in a way this was his way of asserting his role on the team, proving something to all of his teammates. We both stand up to clear our plates and although I had never really known Harry before the interview, I felt I just had a glimpse into his life.